There’s a solemn week ahead for most Filipinos, but there’s also something for everyone else looking to have a good time or learn something new. Summer is in full swing this April, and it’s only starting to reach its peak. While most people will try and get past the many pranks pulled during April Fools, most of us will want to settle down and rest. After all, April also signals the end of another school year. It may be midway through summer, but that doesn’t mean you have to miss out on the best travel deals for the upcoming seasons! On its first year, the World Travel Lifestyle Expo will become the first of two travel expos held every year by Ad Asia Events and features some of the biggest travel deals you’ve ever seen. Head on over to the SMX Convention Center from April 5 to 7 to score some fantastic deals for the rest of the year, be it local or international travel! There are a lot of skills that can be learned online, but some are better acquired in person, usually through a workshop. One such skill is the ability to move over, under, through, and around obstacles with ease like modern day ninjas or Jackie Chan. From April onwards, Ninja Academy, the country’s first gym dedicated to the practice of parkour, will hold workshops for six straight weekends where you’ll learn all the basics of this fast-growing sport. Whenever you hear about the province of Siquijor, two things come to mind: an unspoiled island with spectacular vistas in Central Visayas… and witchcraft, though nowadays is on folk healing. The island now prides itself on its folk healers or mananambal and celebrate them via a Healing festival held during Holy Week. Festivities start on Holy Thursday and last until Black Saturday, and is mainly held in the town of San Antonio. Said to be the predecessor to the widely popular Moriones Festival, the Centurion Festival in the province of Quezon recounts the conversion of Longinus, a Roman centurion said to have stabbed the side of Jesus Christ, had His blood go into his blind eye and restored his vision. 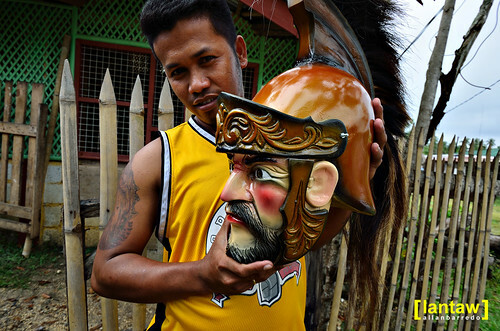 It’s just as colorful as Moriones and is even celebrated in other places like Pinamalayan, Mindoro. Roxas City is known across the country as the Seafood Capital of the Philippines, and you’d be hard-pressed to not give us a reason why we should change it to a different city. You can enjoy the freshest catch every single day from the waters surrounding Roxas City, and there’s no better time to do so than during Capiztahan. The festival is a seafood lover’s dream come true: streets lined with all kinds of seafood caught and cooked the same day!